Sit back and enjoy the serenity of this lovely, updated 2 bedroom, 2 bathroom 1st floor condo at Shorewalk Vacation Villas. King bed in master bedroom and full bed in guest bedroom. Take a refreshing swim in either of the 2 heated pools, play tennis on the lighted tennis courts, let the jacuzzi melt away your stress. 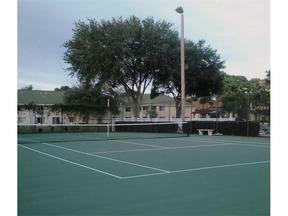 Short distance to Anna Maria Island Beaches, restaurants, shopping, movies, doctors and bus lines. Want to take the family to Disney? It's only a 2 hour drive, or spend just an hour on the road to Busch Gardens. Enjoy the Arts? Sarasota is less than 30 minutes away. It's all just at your fingertips! NO PETS/NO SMOKING. 2 night minimum stay. Dec 1-Apr 30 $2600 mo/$900 wk/$185 ntMay 1-Nov 30 $1600 mo/$750 wk/$150 nt Prices shown are based on 2 person occupancy. Additional persons staying in the unit for a period of longer than 7 days may be considered additional occupants and subject to additional rental fees being charged and/or application and approval process if the community is governed by association rules and regulations. Your rental Agent must be advised of all additional occupants and dates they will be in the unit. Rates shown are base rents that include utilities. Additional fees include departure cleaning fees, Internet fees if not provided by Owner, sales/resort taxes and pet fees if applicable. Note that rates are subject to change without notice and reservations are not guaranteed until initial reservation deposit is received.